The October 2017 official Android 7.0 Nougat updatehas started to be pushed over-the-air by Sprint bringing Maintenance Security for all Galaxy Note5 devices. If you want to learn how to manually install the new Nougat update before the files are released in your region, check the instructions given below. This guide can be used by users who are currently running a custom ROM on their Galaxy Note 5 devices, and want to return to stock Android firmware. 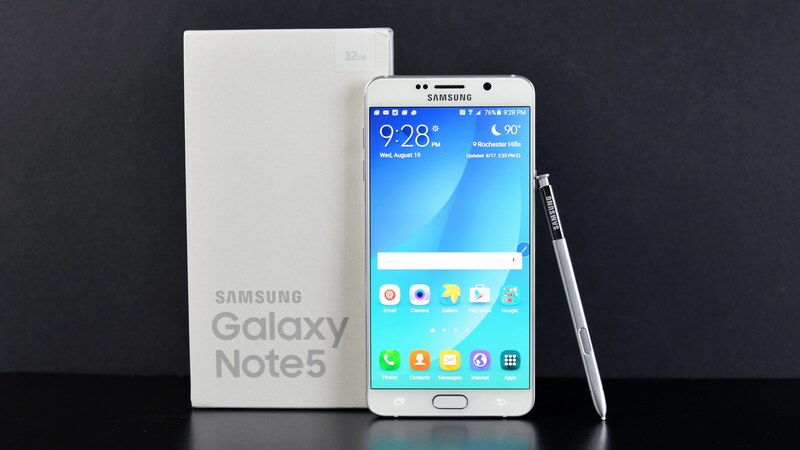 Use the tutorial only if you are an advanced user and only for the Samsung Galaxy Note 5 from Sprint device. The model number of your device has to be the SM – N920P. So, don’t try to update any other devices with the files given in this post. Download from here the Samsung USB drivers and install them on the computer. Having the Samsung drivers will allow ODIN to detect your device. Enable USB Debugging from Developer Options menu. To unhide the Developer Options menu, go to Settings-> About Device-> Software Info and tap seven times on the Build Number text. Go back to Settings ->Developer Options end then find and enable the USB Debugging field. If you chose manually install the new Android 7 Nougat and your device is running a rooted firmware, you need to know that root access won’t survive the update process. Any custom Recovery you might have installed will be replaced with stock Recovery. In case you install the Nougat official update over a custom ROM, you need to apply the Factory Reset process for your device to boot in normal mode. The Factory Reset process will wipe clean the system partition and force the Note 5 device to boot in normal mode. The data from the internal storage will not be removed by Factory Resetting the device. Download from here the Android 7.0 N920PVPS3DQJ1 firmware archiveand then extract the contents on your computer. You will obtain the N920PVPS3DQJ1 BL, CP, AP and CSC firmware update files. Don’t extract the tar.md5 files. Download from here Odin 3.12.3 zip. Unzip the contents and save them on your computer. Power off the Galaxy Note 5 device and then boot it in Download Mode. Connect the device to the computer using the USB cable and wait until Odin detects the device. In case the device is not detected, reinstall the Samsung USB drivers. Click BL and load the N920PVPS3DQJ1 file with BL in the name. Click CP and load the update file with CP in the name. Click AP and load the update file with AP in the name. Click CSC and load update file with HOME_CSC in its name. Hit START and confirm the updating process. Don’t press anything until the update is done installing. You will see the PASS message shown by ODIN. Reboot the device and unplug it from the computer. If the installation process fails, repeat the whole tutorial once more and make sure you don’t skip any step. If the installation process is completed, but your device enters in a boot loop, or it gets stuck you will have to Factory Reset the device. Apply the Factory Reset process also, in case you have installed the update over a custom ROM. Power off the device and boot it in Recovery Mode. Select and confirm “wipe data/ factory reset”.